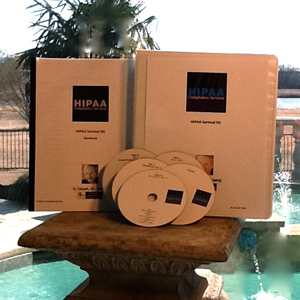 First, do you have an ongoing, active, monthly updated HIPAA compliance program? Second, do you have all the security rules covered and especially a detailed risk analysis performed and documented? Third, have you changed policies, procedures and documents relative to the new Omnibus Rules that went into effect September 23, 2013? Fourth, do you understand willful neglect? * "You can never be 100% compliant, so you need to do everything you can!" This program is a step-by-step, easily understandable approach that nearly any support staff can implement. Questions regarding following the system (for those who start at the beginning and walk through a step at a time) are rare. I am glad to answer any quick question you have. In rare cases where consulting services are desired, they are available for an hourly fee. Once a system is in place it only takes a few hours per quarter of the year to keep it updated, in most practices. 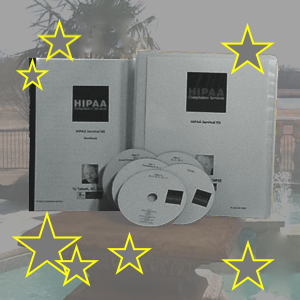 Get Your HIPAA Score FREE! Dr. Ty Talcott, CHPSE has consulted to thousands of health care practices relative to business development and protection. He is a sought after speaker who has led numerous seminars, performed as a keynote speaker and has been featured on the cover of several magazines. Dr. Talcott is a founding partner of an IPA (Independent Physician Association ) that credentialed participating doctors for contracting with HMO’s and PPO’s.